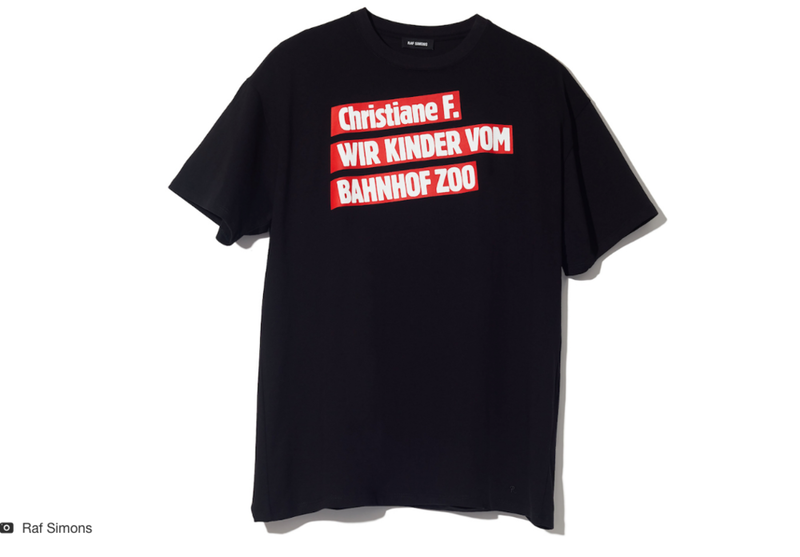 Raf Simons finally releases their 'Christiane F. Wir Kinder vom Bahnhof Zoo' Collaboration. 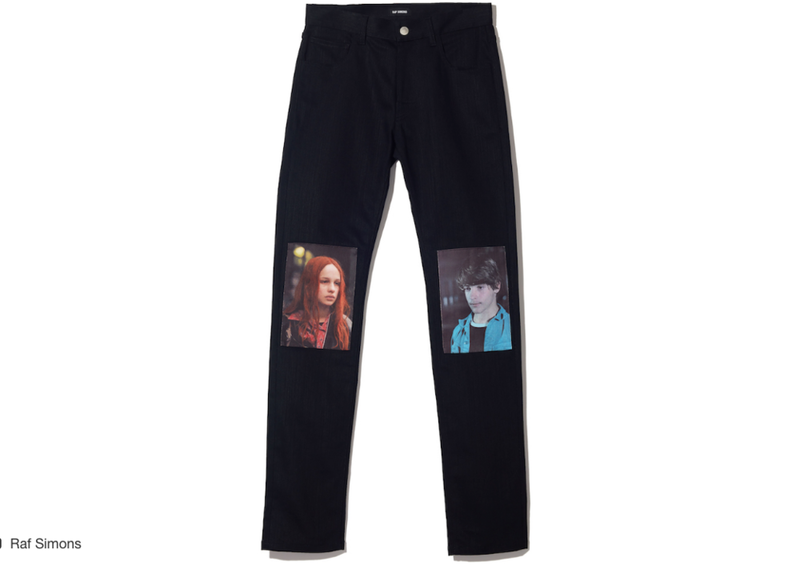 The 2018 Fall/Winter collection features different images of the popular German film Christiane F. – Wir Kinder vom Bahnhof Zoo. 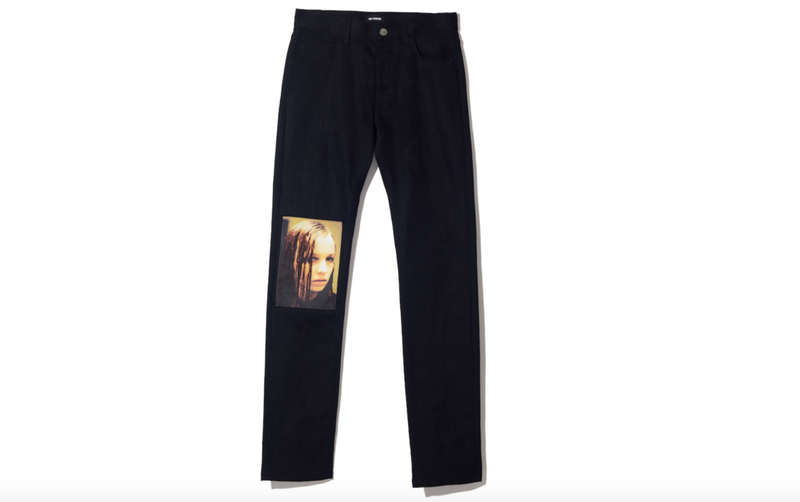 The overlying themes of drugs and addiction are represented throughout the pieces in the collaboration, displaying the two characters Detlev and Christiane F. across t-shirts, jeans, and tote bags. ‘Youth in Motion' was the name given to the collection, expressing Christiane F's story and Uli Edel's film both socially and psychologically. Simons main goal is to not condone the use of drugs but present them as a symbol to the public and raise awareness of drug addiction. But the collection falls short of providing any other imagery on the clothing side. 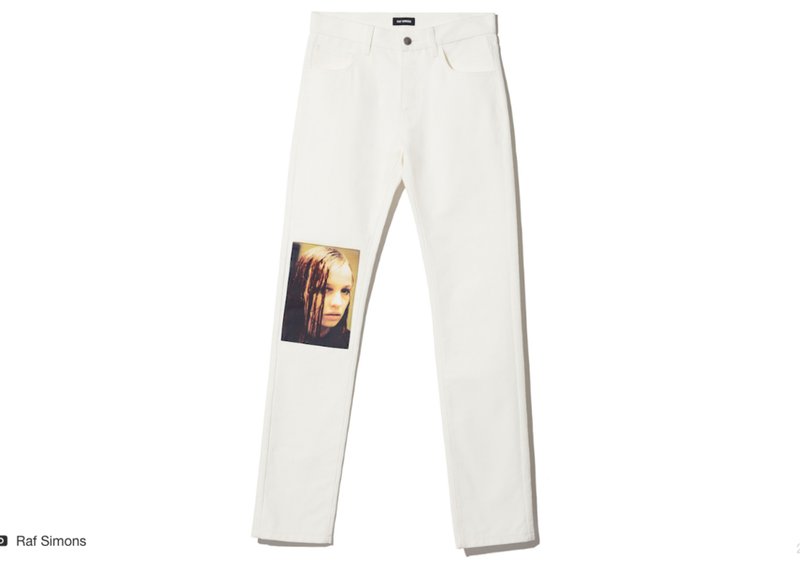 The bare shirts and jeans seem to be mere photo tees with not much substance to them. Nonetheless, Simons does provide a straightforward theme throughout and continues his support of a cause that is a taboo subject in today's society with a portion of the money for the collaboration being donated to organisations that help people recovering from addiction. Click here to shop the collaboration and support the cause behind Raf Simons latest work. Raf Simons regarding their reasoning for the name ‘Youth In Motion’: “‘Youth In Motion’ implies movement – across space and time, and between inner and external realities – and draws freely from the lexicons of art, cinema, literature, music, the counterculture and the ‘attitude’ of couture. ‘Youth In Motion’ is presented in a mise-en-scene that echoes the salons of mid-century couture houses: the discrete number of models employed, the numbering system that identifies specific looks, and the opulent tableaux (food, drink, and flowers).